The Corolla Wild Horse Fund just released some devastating news. The Corolla Wild Horse Fund just shared some sad news regarding beloved stallion Roamer. 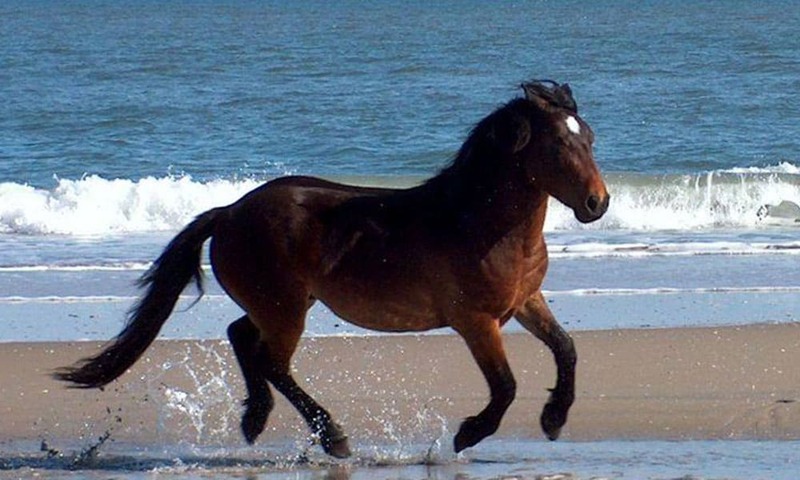 When one thinks of North Carolina’s Outer Banks, one also thinks of the Corolla Wild Horses. When news struck last year that Hurricane Florence was projected to hit the home of the famous wild horses, we had thousands of our COWGIRL readers share their concerns and provide encouraging words about the safety of the horses. While the horses withstood the hurricane and have continued to thrive, the Corolla Wild Horse Fund just released some devastating news regarding one of the most famous members of the herd, Roamer. COWGIRL is keeping all of the members of the Corolla Wild Horse Fund in our thoughts during this difficult time.